The bottom line on the 2018 Jaguar E-Pace is that if you're shopping the luxury compact SUV market, this crossover will match or beat other luxury brands at every point. Jaguar startled the automotive world a few years ago when the legendary British sports car maker announced its first SUV. The F-Pace is a mid-size crossover that brought together the best of Jaguar's sporty breed with Land Rover's world-renowned expertise in all-wheel-drive and off-road capability. Now Jaguar brings us the E-Pace, a compact crossover SUV with the same sporty credentials as its older and larger littermate. The basic E-Pace is powered by Jaguar's Ingenium 2.0-liter turbocharged engine, rated at 246 horsepower and 269 pound-feet of torque. If you choose the upgrade R-Dynamic trim level, the same engine is boosted up to 296 horsepower and 295 pound-feet of torque. Both engines are paired with Jaguar's 9-speed automatic transmission. The base engine will pull the E-Pace from 0-60 in 6.7 seconds, while the R-Dynamic engine will do it in 6.1 seconds. Inside, the E-Pace reminds you that Jaguar's been doing sporty luxury for almost 100 years. 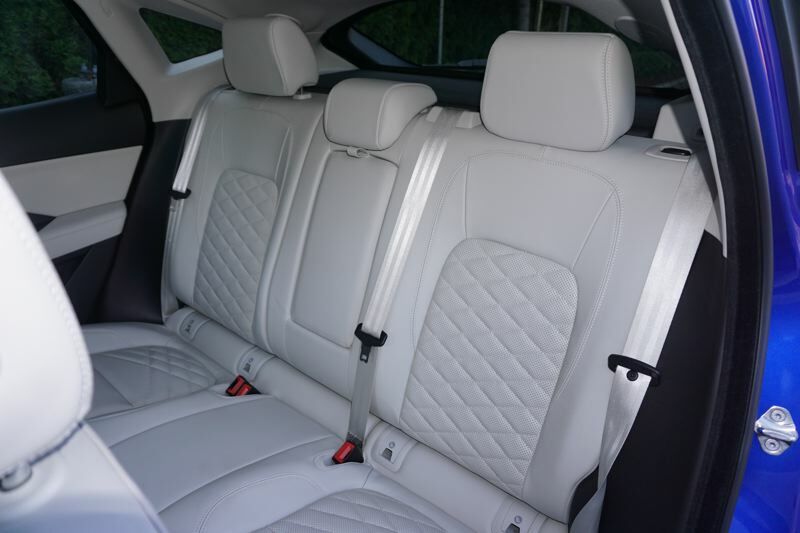 Heated front and rear seats upholstered in fine Windsor leather, dual zone climate control, a 10-inch touchscreen infotainment interface with Navigation, and a Meridian 10-speaker audio system are all available. 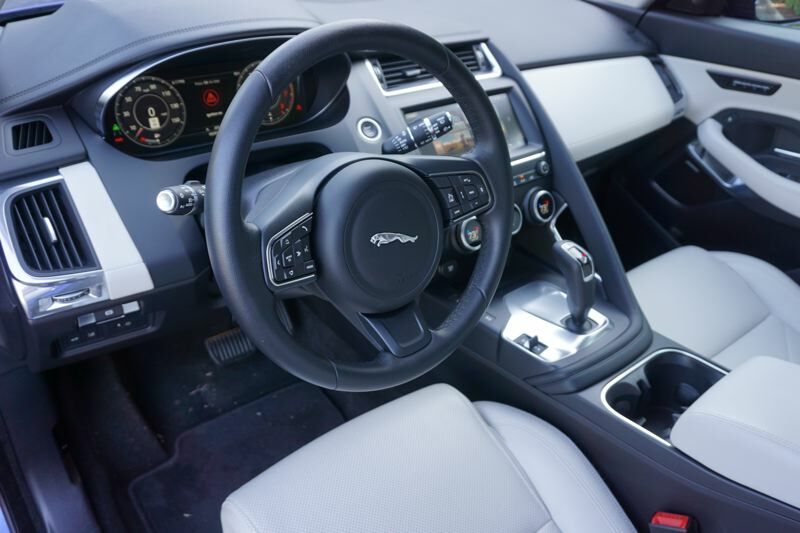 Technology and advanced safety features include Jag's InControl remote control, which allows you to preset the climate, lock or unlock the vehicle, and beep the horn and flash the lights to find the E-Pace in a parking lot. On the safety side, you get a rear view camera on all models, and a surround camera system is optional. 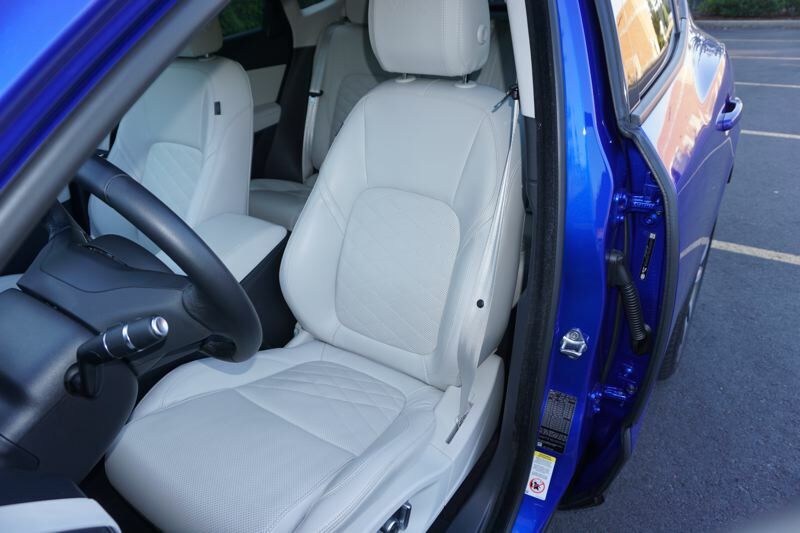 The E-Pace offers lane keep assist and a driver condition monitor, high speed emergency braking, adaptive cruise control, blind spot monitor, and reverse cross traffic detection. Additional SUV features include a powered gesture-activated tailgate and Jaguar Land Rover's amazing All Terrain Progress Control. This system allows you to set a speed and let the E-Pace find its way over rough terrain. You'll be amazed at how the E-Pace handles off-road driving, even with high performance summer tires on the vehicle. On the road, the E-Pace lacks a bit of the aplomb and power that made the F-Pace a sensation, but compared to competing compact SUVs the E-Pace is a strong contender. The Ingenium engine provides plenty of power and the handling is first rate. There's plenty of room in the cabin, including cargo space in the back. Second row seating is perfectly adequate for adults, or you can put three kids back there easily. 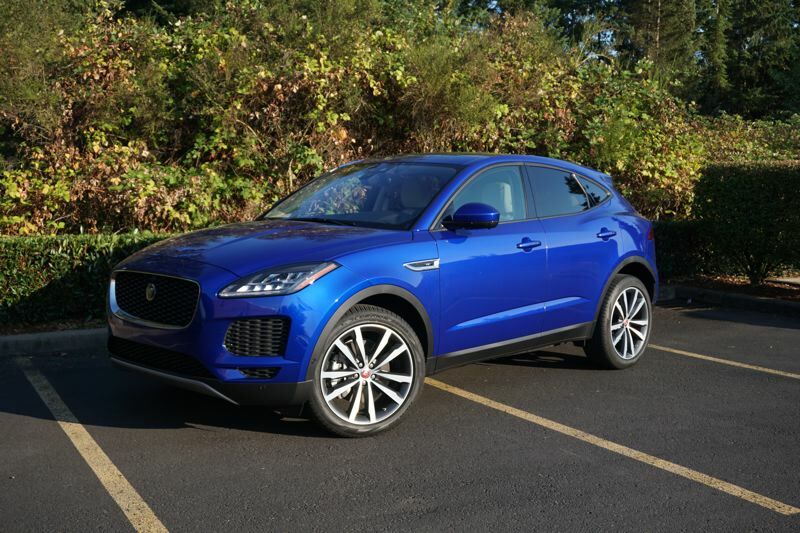 The bottom line on the 2018 Jaguar E-Pace is that if you're shopping the luxury compact SUV market, this crossover will match or beat other luxury brands at every point. Luxury is still a matter of personal preference, so the best way to decide if the E-Pace is for you is to take a test drive.